Two things have combined to bring us to the point where we can now offer broadcast-quality, live streaming of our church services. Firstly, the quality of the Internet (even in a regional location like Oak Flats) is good enough that we can squeeze a good-quality image down a standard Internet connection. Secondly, the dramatic leap in video technology has meant that our church can use equipment that would have once cost the equivalent of hundreds of thousands of dollars only a decade ago. Our church has been gradually increasing our investment in equipment and training over the past few years, and we’ve now come to the point that we’ve upgraded our sound equipment to include a full-digital sound desk, offering much clearer and better sound for those enjoying church in our building and around the globe. We have also been able to configure our systems to allow our song words and Bible readings to appear as text superimposed on the images of the people in our church. This will make the experience of watching from home so much better. Thank you to those who regularly watch via the Internet and for your patience as we’ve sought to improve the quality of the technical side of this ministry. We pray that this will be a blessing to you and many as God’s word goes out to the ends of the Internet through this remarkable technology. 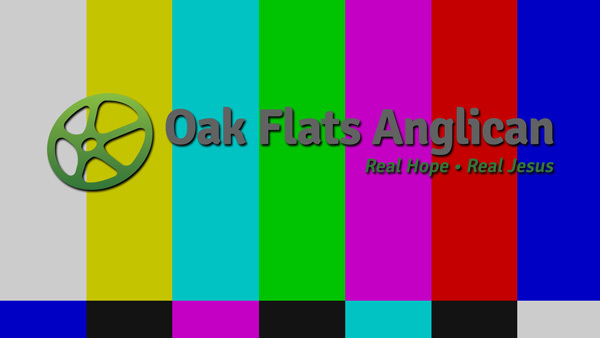 Finally, a special shout out to David Wilson from Ministry of Tech for his excellence in sourcing the equipment and configuring it for us at Oak Flats Anglican.